Bigg Boss Nau have ended a few days ago after Prince Narula beat the other contestants to take home the prize. However, the party still seems to be on. 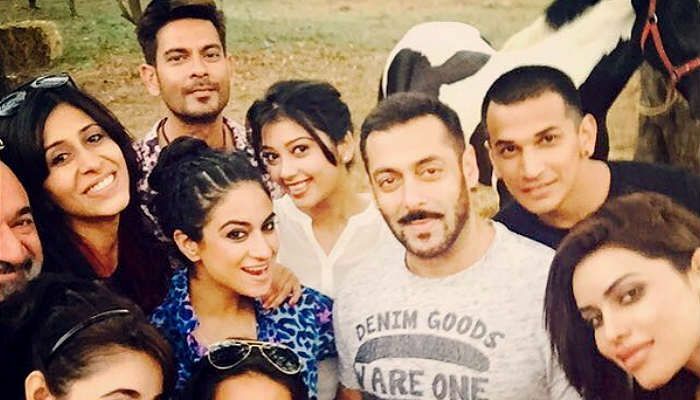 The contestants recently attended a party at Bigg Boss Nau host, Salman Khan's farmhouse. Salman throws a party every year after the grand finale of the controversial reality TV show. The photos of the contestants having fun at the party are all over social media. Now watch a video from the star-studded party. Here's Digangana Suryavanshi, Rishabh Sinha, Prince Narula, Priya Malik and Gizele Thakral dancing to DJ wale babu. In other Bigg Boss news, it has been alleged that the viewers had voted for Rishabh Sinha to win the show and that Prince Narula's win was scripted. Do you think this is true? Why did Aligarh, a film on homosexuality, without any intimate scenes, get an 'A' certificate from the Censor Board?